The second British “quarterly exercise” has started and deals with “all things delivery-related”. John Willis proposes a tagging for separate student and teacher entrances in Japanese schools. He would like to introduce additional values for entrances = *. User bdiscoe reported a strange coastlines course in South Africa. User zeromap reported how the MapBox team handles anonymous reports on their new feedback function. “Epic Mapper” – Heinz_V created changeset 30,000,000. This month there are two “Belgian Mappers of the Month“. User edvac wants to import another 520 Health Centres in the Nigerian state of Borno. The automatic building and addresses Import in Baltimore has begun. 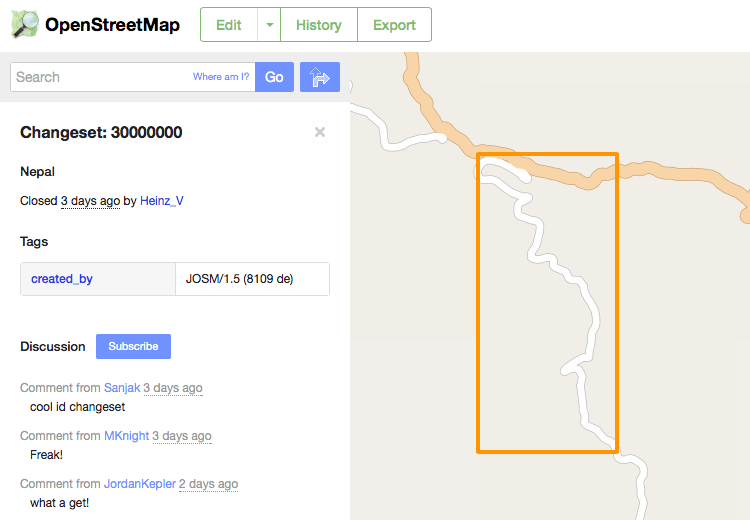 The adfinis SyGroup is now donating free hosting to the Swiss OSM community (translation). The OSMF board meeting minutes from 10th March 2015 have been published. Mikel Maron calls for mapping to continue in Vanuatu. On 16/03/2015 Locus 3.7.1 was released. … who is who on twitter? LibreOffice and Leaflet – maybe.